The teams have changed from when this was originally published, in 2014, however, you will always be a winner serving these great snacks, recipes courtesy Saratoga Olive Oil, for your Superbowl Feast. (Superbowl 2019 – February 3rd – New England Patriots VS Los Angeles Rams). Super Bowl Sunday means many things. Beer commercials that we’ll be seeing non-stop for the next five months. Halftime acts that may or may not offend your Grandmother. Two football teams neither of which are the New England Patriots, so unfortunately quickly loses our interest [Editor’s Note: We’re still bitter]. And food. Lots and lots of food. From the traditional wings and pizza to the exotic bright blue dip that no one can quite identify or pronounce, there will certainly be dishes and meals a plenty come Sunday. As you may very well know, we’re pretty big on food here at Vermont.com (check out some of our favorite restaurants here) so we will gladly take any excuse we can find to jump into the kitchen and whip up some tasty treats. We teamed up with our good pals at Saratoga Olive Oil Company here on Church Street in Burlington, to bring you three easy and delicious food options that are guaranteed to make you the hit of your Superbowl Party extravaganza. These little bites of goodness are delicious! There’s something about being able to grab a piece of pizza in a form other than a slice that we really love. It’s kind of like seeing a really good friend with an awesome new haircut. If they were also bringing you mouthwatering cupcake shaped pizza bites. Or something like that. You get the point, these things rock. 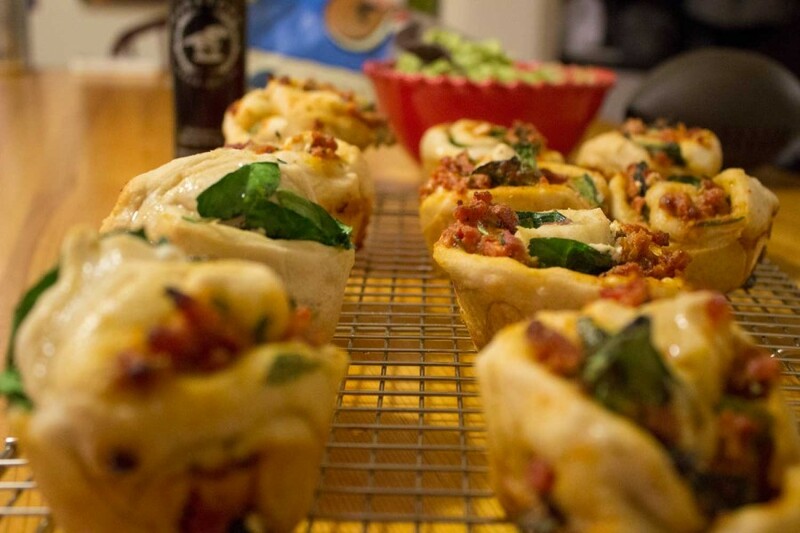 In a mixing bowl, combine 1 1/2 tbsp Harissa Olive Oil, Tuscan Blend seasoning, scallions, 3/4 cup spinach, tomato sauce, pepperoni, and goat cheese. Flour a workspace and roll out pizza dough into a 10 x 12” rectangle. Brush dough lightly with Harissa oil. Add half of meat sauce mixture to pizza dough and sprinkle with half of the sausage and spinach then drizzle with 1/2 tbsp Harissa. Roll up the dough, creating a 12” log. Slice into 12 pieces. 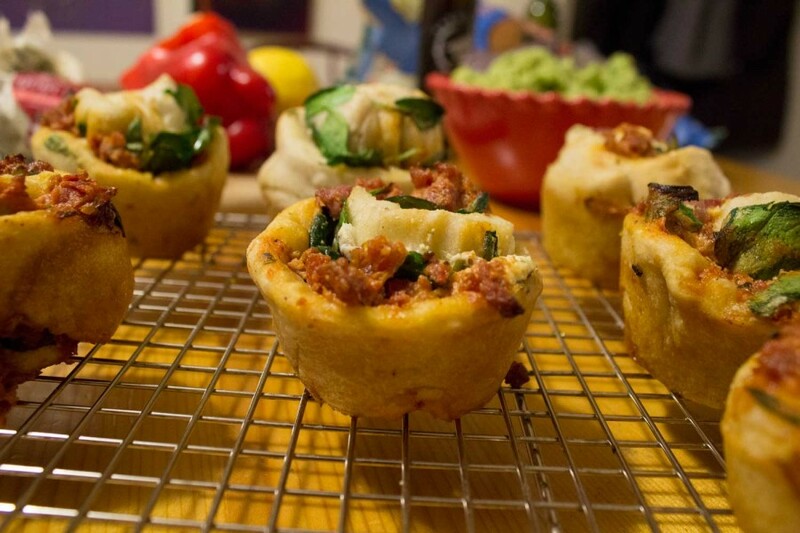 Place each piece into a greased muffin tin. Repeat process with second ball of dough and remaining ingredients. Bake for 20-25 minutes until dough becomes golden brown. 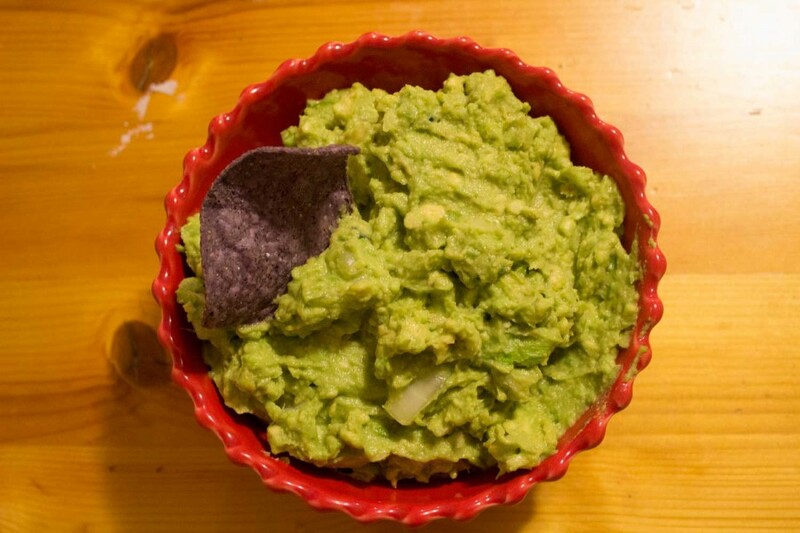 Unlike that weird blue dip that nobody knows what it is and just sits for the entire afternoon untouched in the corner, everybody knows and loves guacamole! Even just saying guacamole can bring on a smile. I literally don’t think that anyone has ever eaten guacamole and been in a bad mood at the same time. It’s just not possible. 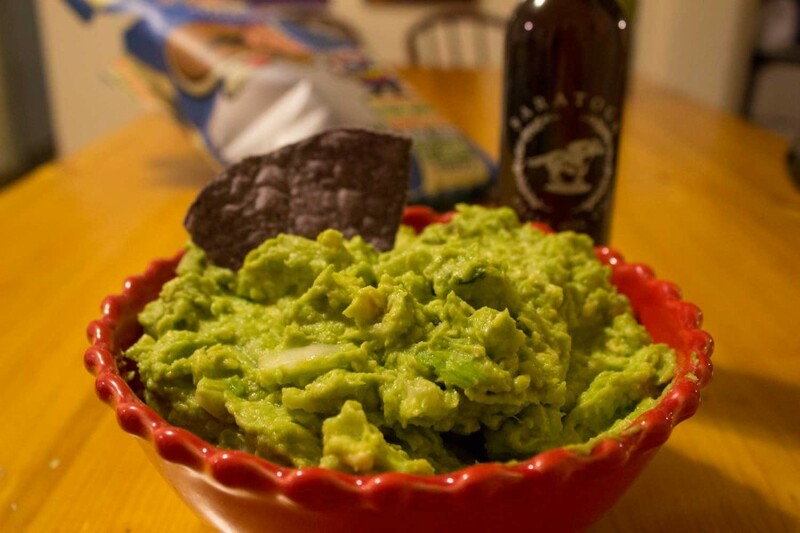 In a mixing bowl, combine avocados, onions, Serrano chili pepper, salt and pepper. Mix in Persian Lime Olive Oil and Blackberry Ginger Balsamic Vinegar. Alright, before you knock it for having quinoa in a meatball (this commercial might be picking up on your thoughts at the moment) – let me give you this simple fact. Besides having that full, savory taste of some other quinoa-less meatballs, these guys are way healthier and you can subsequently eat way more of them! And trust me, you’re going to want to. 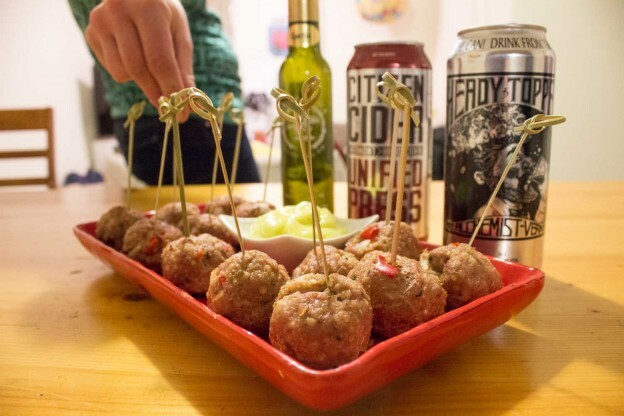 Paired with a garlic aioli, these meatballs will be gone by the time you go back for seconds, so open your mind and let your stomach say thanks! 2. Combine all ingredients in medium mixing bowl. Mix well with hands or spoon, allowing ingredients to combine evenly. 3. Shape mixture into balls, approximately 1 inch in diameter. 4. 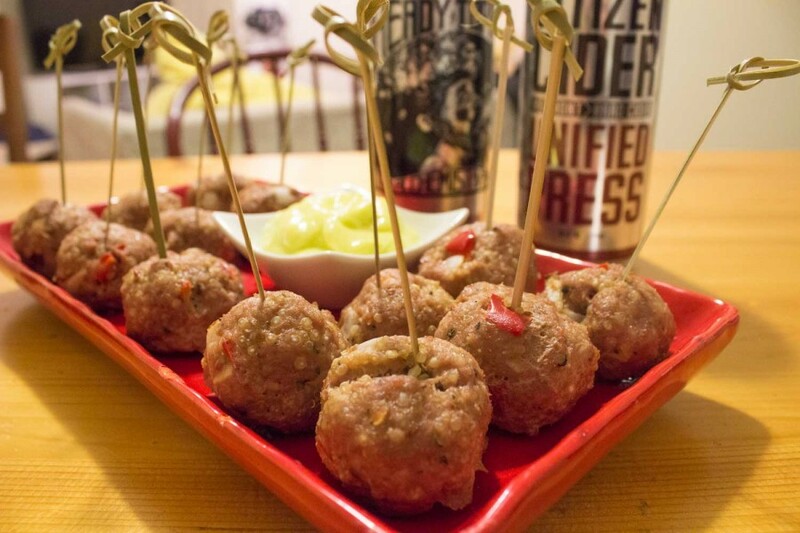 Arrange balls on greased baking sheet and bake for 13-15 minutes, until lightly browned. 1. Using an electric mixer, beat eggs thoroughly. 2. While mixer is still running, slowly add garlic olive oil. Mix for about two minutes. 3. Add lemon juice and sea salt and continue to mix until all ingredients are blended evenly. Saratoga Olive Oil Company is located at 86 Church St. in Burlington, VT. Open Mon – Thur: 11 am to 7 pm / Fri – Sat: 10 am to 8 pm / Sun: 11 am to 5 pm, Saratoga Olive Oil Co. is a family business owned and operated by Clint Braidwood, Barbara Braidwood and Chad Braidwood. To learn more about all the awesomeness that goes on at Saratoga Olive Oil Co.[Editors Note: We really do mean that – not only are there always cool events and tastings going on, but everyone who works there is incredibly knowledgeable and great to talk to!] please read Following the Crush: 5 Questions with Saratoga Olive Oil Co and visit them on Facebook.